In December, General Motors (GM) made headlines for picking Mary Barra to replace Dan Akerson as its new CEO. That meant she would not only be the first woman at the helm of the carmaker, but any global carmaker. But while she may have shattered that glass ceiling, her pay is another story. Looking at the company’s filings with the Securities and Exchange Commission, Elizabeth MacDonald notes that Barra will be paid $4.4 million in total compensation, which includes a base salary of $1.6 million. Akerson, on the other hand, made an estimated $9 million, with a $1.7 million base salary and $7.3 million in stock. That means Barra will make less than half of what he made. In fact, Akerson will continue to make more as her, as GM will pay him $4.68 million as an outside senior adviser. Worse, Barra comes to the job with an outsized amount of previous experience. She’s been with the company since 1980 and was most recently serving as senior vice president of global product development. Akerson, on the other hand, came into the role without a background running a car company, previously serving as a managing director of private equity firm The Carlyle Group, although he has been on GM’s board since 2009. A GM spokesman told MacDonald that Barra’s compensation could increase after shareholders vote in June on her long-term incentive compensation. 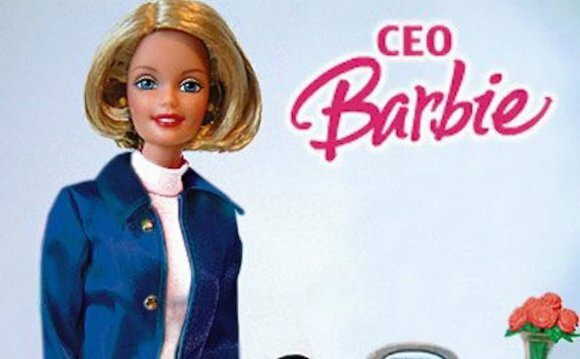 But Barra is not the only female CEO being paid less than men in similar positions. Even the highest paid women executives at S&P 500 companies still make 18 percent less than their male counterparts. While Barra’s gap between her pay and her predecessor’s stands out, there are other notable gaps. Heather Bresch, CEO of pharmaceutical company Mylan, makes 33 percent less than the average for the pharma sector. Denise Morrison, CEO of Campbell Soup, makes 24 percent less than average CEO pay in the food industry. Certainly some career choices enter into the overall gender wage gap, where women make 77 cents for every dollar a man earns, such as being more likely to work part-time, interrupt their careers to care for family members, and ending up in jobs that tend to pay less. But none of these factors can help explain the wage differentials at the very top. Even the idea that women are less aggressive in pursuing more pay and opportunities evaporates. Clearly women who climb to the top in a heavily male dominated world — women still make up less than 15 percent of CEOs at the country’s largest companies — have to be ambitious, and a recent study even found that female executives are even more ambitious than their male peers. In response to a question about why Barra’s base pay and short-term compensation is lower than Akerson’s, a GM spokesperson pointed out that she is not also serving as chairman, as he did, and that he had also previously served as CEO at other companies. Anne Heraty is an Irish business woman. She is co-founder, major stake-holder and also CEO of CPL Resources Plc.